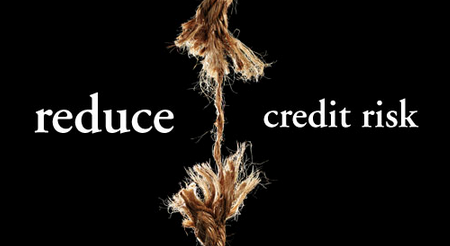 What is Credit Analysis in Finance? A credit analyst is a finance based job in a field that is ever growing, even during the highs and lows that are experienced during this shaky economy. A job as a credit analyst holds some pluses and plenty of important responsibilities along with it; being able to work with and help people through the knowledge gained through experience, learning the ins and outs of the credit industry and finance and essentially being able to pass some credible and useful advice on to others and apply to their personal financial situations. So, just what exactly is a credit analyst? Most usually, the analyst is the individual responsible for determining an applicant’s credit worthiness in getting a loan, credit or credit extension approved. Depending on where the credit analyst works, the job can be applied toward personal applicants or in business firms. In order to assess the credit applicant, the analyst has to gather and review all financial data about them. This includes their salary or profits, payment history, debt and even their purchasing habits. There is a process that entails comparing their debt vs. income ratio or in the case of a company, liquid assets. This is done in order to determine the rate of risk that extending a line of credit may pose. Using this information, the analyst will then make a suggestion on an action for their client through a detailed report, such as approving or rejecting a loan, granting a credit extension, lowering rates and even potentially closing or reducing an active line of a credit. They may also suggest payment plans for repaying loans. Credit analysts are sometimes hired to create public financial profiles for companies as well. Credit analysts typically work for banks, commercial lenders, credit card companies, real estate companies and even government agencies. In order to become a credit analyst, the requirements often entail having earned a finance degree, accounting or a similar field. By studying these subjects, you will have achieved a high level of understanding for finance and accounting, economics, statistics and ratio analysis as well as financial industry assessment. Mastering these skills, especially ratio analysis and statistics will greatly aid you in your quest toward becoming a great credit analyst. Having these tools under your belt will regularly assist you in navigating through the process of determining and assessing potential risk factors in each client. You also have to know how to process data, break it down and transform it into an easy to read report. The report will give recommendations on actions as well as payment plans for the applicant. These reports are submitted to clients or employers in order for lending institution to make the final conclusion on extending a credit line or a loan. Being a good credit analyst requires more than an understanding of numbers and analysis, however. While a deep knowledge of mathematics and finance is the foundation for the job, the individual should also be extremely detail oriented and good with organizing, planning and following deadlines. Having good people skills and being able to communicate clearly and effectively are also a must, since credit analysts often work closely with others as a team. If you’re considering a career as a credit analyst, make sure that you’re ready to deeply delve into the world of finance, accounting and credit analysis. Being prepared is the best first step, so getting the best education available should be at the top of your list in getting started. ← Ecommerce for the Masses: Why Keeping Customers on Your Site is so Important?